This territory between mountain and sea offers scenic lookouts. Enjoy this nice hike with our state certified guide on the "Mare e Monti" south path. 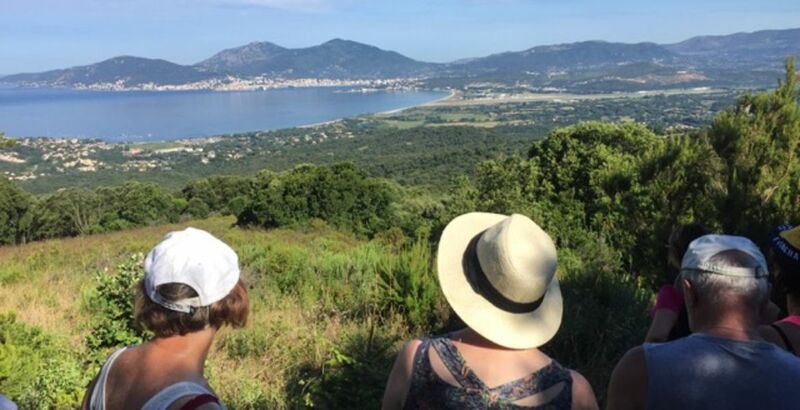 We will do the Bisinao - Porticcio stage where you will enjoy beautiful views on Ajaccio and Porticcio's gulfs. Accessible to everybody, this hike above Porticcio combines sport, nature and discovery.